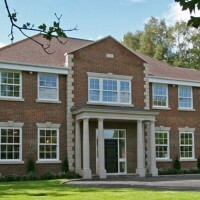 Are you a builder looking for high-end sash windows for a home renovation project? 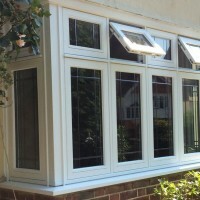 Perhaps you are a homeowner looking for stylish casement windows? Or maybe you are a commercial property owner thinking about installing triple glazing? We work for customers in Tooting, Streatham and the wider areas of London and the South East and we are your one-stop-shop for all your sash window and other glazing needs. Our vertical sliders combine the looks and features of traditional sash windows with the additional benefits and convenience of more modern, technically-advanced windows. Superbly engineered and of exceptional quality, our sash windows are made from either uPVC, aluminium or timber. These windows will add real style to your home, without sacrificing on performance! Why choose us for your box sash windows, casement windows or vertical sliders? Do you live in Tooting, Streatham or the surrounding areas? We are one of the leading sash window companies working in your local area. We are always happy to offer a free, no-obligation quote at any time. Would you like to save money on your energy bills? All of our products have energy-saving features and are high performance in terms of thermal efficiency, so you can save money on your utility bills. 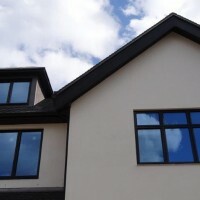 Would you like to make informed decisions about your replacement windows? Here at Merton Windows and Doors, we are known for our honest, professional and reliable approach.We only use windows sourced from the UK’s leading manufacturers and we can share advice and glazing knowledge at any stage of the process. We will take time to understand your needs and the look you hope to achieve, so we can give you a range of budget-friendly options. We also cater for commercial customers – please read out blog about replacing windows for commercial premises. Would you like to employ a company that is registered with regulatory bodies? We are FENSA-registered, members of the Consumer Protection Association and Checkatrade.com, so you can have complete peace of mind. Are you looking for made-to-measure products? Here at Merton Windows, our quality products can all be customised to your exact requirements, from materials used, to the colours and accessories. Feel free to get in touch today on 0208 542 2233. We will do our best to answer all your questions! Sash windows: Sometimes called vertical sliders, our sash windows are available in uPVC, timber or aluminium. French casement windows: These windows are an excellent choice for many homes and they divide and operate like a French door. Their practical design makes them great for easy cleaning and they allow natural light to flood into your home. They are also ideal for smaller openings when a fire escape is needed. Casement windows: A versatile option, casement windows provide excellent ventilation security and energy efficiency. 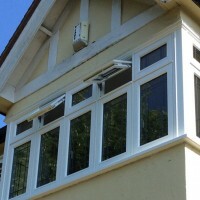 For an estimate for vertical sliders, sash windows, casement windows or timber windows in Tooting, call us now! For more info, please call 0208 542 2233, email [email protected] or jot your details into an online enquiry form.